Mr Osborne Debt fuelled UK Budget; All I hear is oinking. George Osborne was to have been a new kind of chancellor for a new kind of Britain. Instead of being an economy hooked on financial services and trading, we were going to be an economy under the stern command of business investment and export markets. Curious George; A UK PM Hopeful? Instead of government profligacy, we were going to see government puritanism. And the bad banks of old – risky, thinly capitalised, addicted to government support – were going to be cajoled and coerced into becoming smaller, leaner, stronger, better. None of that has happened. It’s not even clear that Mr Osborne and David Cameron ever really wanted it to happen. Not meaningfully. Not in a way that would ever have provoked real change. Take the property markets first of all. We live in a time when “ghost gazumping” has become the new normal in the London property market (and will soon, surely, become common elsewhere). It is a time when an investment fund, set up to promote investment in London residential property, estimates that a tiny, one-room prime residential flat in London could sell for up to £36m by 2050, and when the Governor of the Bank of England (falsely) suggests that he can’t control housing bubbles. 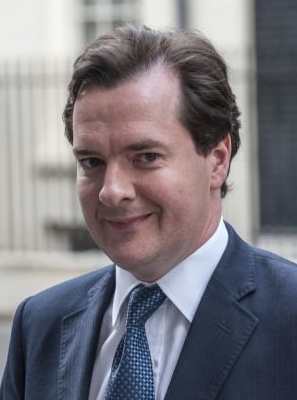 The Osborne of 2010 – the one we were led to believe was the real Osborne – would have had no truck with any of that. He was the bubble-pricker, the debt-slayer, the stern father of the Real Economy. The Osborne we actually have is that man’s opposite. Manufacturing? Despite a free-floating exchange rate, Britain’s manufacturing sector is 11 per cent smaller than it was in 2008 – a performance far worse than either Germany or the US. Our infrastructure spending is limp. Our science budget inadequate. It would be easy to think that inadequacies in these areas arise simply because of the restrictive financial climate. However, infrastructure investment isn’t like current spending – it’s actually an attempt to build things that will yield economic benefit over the long term, propelling the economy forward. More tellingly, it’s striking that Mr Osborne feels able, for example, to pump yet more taxpayer money into his Help to Buy scheme. Since that initiative has done precious little to encourage new housing starts, and since new construction limps well below actual demand, Help to Buy is in essence just a pump inflating prices in an already overheated market. In other words, your money is being channelled via banks into the pockets of existing homeowners. Isn’t that exactly the economy we were meant to be leaving behind? When you hear that interest-only mortgages are back with a bang, you realise that nothing has changed because no one – not the banks, not the Treasury, not the Bank of England – actually wants it to. Or take those changes made to annuities. It looks great for pensioners: they enjoy a flexibility that they lacked before. But at what cost to the public purse? If pensioners make poor investment or spending choices, they may become dependent on the public purse – exactly the reason why all previous chancellors, Labour and Tory, insisted that they take out annuities. The old Osborne would have agreed with that logic. The new one simply welcomes the temporary blip in approval ratings, at the expense of who knows what additional costs down the road? Even some of Mr Osborne’s other changes amount to less than they appear. Doubling investment allowances (to £500,000) sounds like a terrific move – a statesmanlike way to rebuild Britain’s collapsing investment base (which, as a share of total economic activity, is now on a par with places like Malawi, El Salvador and Greece). Unfortunately, his proposed change comes to an end at the end of 2015 – and does little or nothing to support new investment by the big businesses that in practice dominate the economy. Indeed, one of the Chancellor’s biggest achievements is to have painted himself as the “austerity Chancellor”. In practice, his government is borrowing more, in relation to its economy, than any other major government. The moment at which the budget is (finally) to come into surplus has retreated to 2018-19 – a date so distant in terms of economic forecasting that you might as well claim that the budget will be balanced by fairies selling pixie dust to leprechauns. Although the Chancellor hardly sought to draw attention to the issue, the numbers drawn up by the Office for Budget Responsibility (OBR) couldn’t help but highlight Britain’s fundamental economic thinness. In normal times, you would expect the economy to surge as it comes out of recession, with factories moving back to full-time work, with mothballed assets coming back into use. In Britain’s case, however, there’s been no surge, nor does the OBR expect to see one. The theoretical “output gap” has simply vanished – vanished into that land of pitiful investment and failed export hopes. The one concrete, lasting achievement of Mr Osborne’s term in office so far has been a thumpingly large increase in the national debt. This is matched, as it happens, by the Bank of England’s obsession with quantitative easing – an obsession suitably topped off by Mark Carney’s suggestion last week that he wishes to monetise the £375bn in QE debt. The simple fact is that Mr Osborne has failed to recalibrate the economy on any major count. He has failed to deliver his fiscal plans. The current growth spurt is based on the two false pillars of (unsustainable) consumer spending and an (ill-advised) property bubble. Manufacturing is weak. Capital investment, both public and private, is feeble. Our banks are still inadequately capitalised and do little to support the real economy. On none of these counts does Mr Osborne have a credible riposte. Which sounds like a damning conclusion on a would-be reforming government now heading towards its fourth anniversary. Yet in a way, to focus on one man, or one government, is to miss the point. The entire rich world has failed to learn the lessons of the crash. Italian government bond yields are now lower than they’ve been since 2006. The junk bond market is touching record highs. We’re seeing ludicrous stock market valuations, a dotcom 2.0: $30bn (£18bn) apiece for Tesla, Netflix or the loss-making Twitter; $19bn for WhatsApp, a company that earns about $20m in total revenues. So what’s changed? What exactly has become safer? In the aftermath of the financial crash, figures like those would have struck us as the inevitable symptoms of Peak Bubble – and now they’re back, and no one in authority appears to care. The truth is, you can put lipstick on a pig but it will still oink like a pig and act like a pig. Mr Osborne can wield the make-up all he likes. All I can hear is the oinking. I finished your book a couple of months ago and it was brilliant read. Always good to see you on the Keiser Report but the show needs to be longer! Spot on about the UK budget but I don’t think a Tory government would ever carry out reform to restrict the wealthy’s influence. Read your book a little while back, fantastic although rather scary stuff in several places. 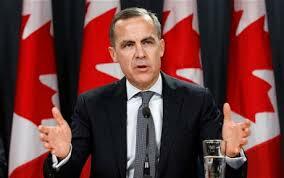 Quick question – Why is the Uk govs ‘Help to buy’ working out to be such a ponzi scheme? I’ve read a couple of articles and it sure looks to me to be blowing up a bubble, (especially in London – prices up 18%) how do you see it panning out over the course of time and crucially, what should they, (the government) have done instead? So why do you think the economic system is locked into the obviously failing model you highlight? Is it perhaps because it’s working well for the wealthiest few? PS We always look forward to seeing you on Max’s show. What is a snake left with after it eats itself? ?